on all Logistics & Transportation Matters! 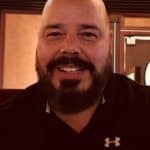 Everything you need to get started or to continue your work as a broker, from private consults, databases, insurance, loadboards and a business website. Take advantage of our packages to get your authority, BOC-3 filing and need permits from one of the packages TFS has. In most instances we can have you processed within 72 business hours. Join TFS and be a partner with all other transportation professionals. TFS HAS A NETWORK THAT CONSISTS OF MAJOR TRANSPORTATION PROFESSIONALS THAT SERVICE THE INDUSTRY DAILY, I.E. 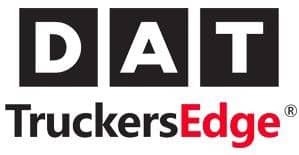 DAT, TRUCKERS EDGE AND DEALER TRACK, WEB DESIGNERS, ATTORNEYS, CONSULTANTS, AND PROCESS AGENT SERVICES AT ONE LOCATION THAT NEVER CLOSES. 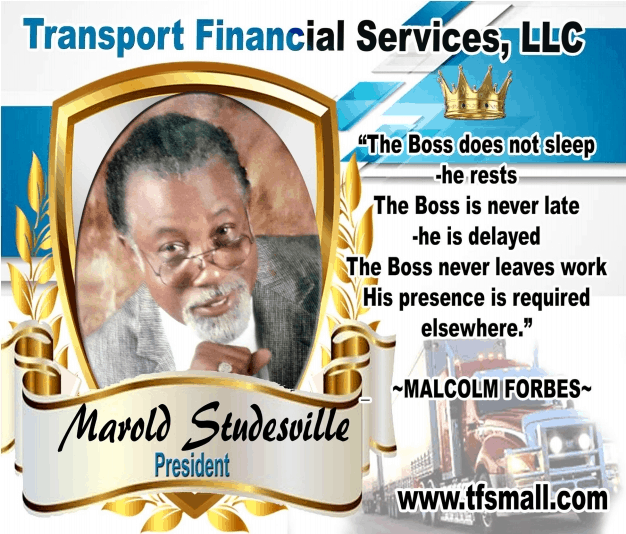 My name is Marold O. Studesville, Owner and CEO of Transport Financial Services, LLC, (“TFS”), an acknowledged surety trust/bond provider of the full range of legal… administrative… and operational resources necessary for the success of Brokers…Motor Carriers…and Freight Forwarders. 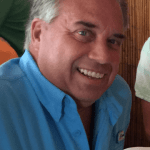 I bring over 45 years of experience in the transportation industry to TFS . Transportation was a natural progression after having served in a logistics capacity while serving in the armed forces as a young man. My vision is to bring an old industry “Transportation” into the 21st century and make information and opportunity readily available to all that work in this integral part of US society. TFS – has literally saved my brokerage firm!! 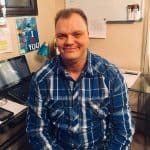 After being down almost 4 months, Marold worked with me to almost immediately to get my bond refinanced. This allowed me to jump start back into action almost immediately. God Bless Marold and his entire staff for keeping me in business!! Can’t say enough about Transport Financial Services. It really is a One Call Does It All for all your transportation needs. From getting your authority in ff/broker/carrier services packages. UCR state filing, state permits, fuel tax reporting just to name a few. Thank you TFS! Transport Financial Services helped with all of my transportation needs from getting my authority and help with reaching carriers. TFS helped launch our company into the trucking industry by allowing us to operate safely while doing business as a freight broker. It is an honor to link up with such a trustworthy company that translates to our company growing. Keep up the awesome work because together we can make a difference! Everyone working in the US transportation and logistics industry should be reading and understand the results from this important piece of legislation!